My good friend, who happens to be a Jesuit, and I often take digs at each other especially when our eccentric idiosyncrasies start showing up in public. In jest, we express great concern for each other and take turns asking, “Have you taken your pills today?” The imaginary pink pills are the uppers and the blue ones are the downers. 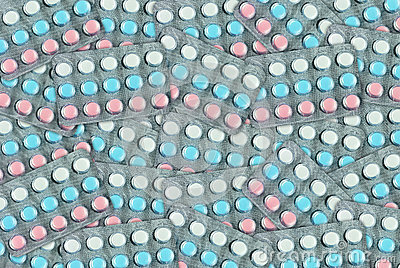 Whenever I return from a pilgrimage, I would secretly wish that my stash of pink pills are real and not just some fictitious creation. I usually suffer not only the ravages of fatigue, from a demanding itinerary and extensive travelling, but also a certain emptiness and disappointment caused by PWS or “Pilgrimage Withdrawal Syndrome” (I’ve invented the term myself so don’t try looking it up in any medical dictionary). As much as I wish to prolong the experience of 'touching heaven on earth', the reality of my everyday mundane existence comes crashing down, to remind me that I’m not in heaven yet. I’ve got to contend with a mountain heap of backlog in paperwork, a list of appointments to catch up on, and pages of unattended emails waiting to be answered in my Inbox. It’s back to the hum drum drudgery of business as usual. It’s the whole experience of coming down from the mountain. This is the REAL world! This must be the experience of the three disciples, Peter, James and John. Above all of the foreshadowing of dark things predicted by the Lord Himself, above all the dark things that will soon follow, today’s mountain story rises above a brooding plain. 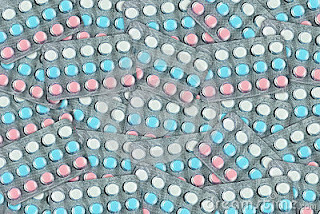 It was a ‘pink pill’ experience. The Lord takes Peter, John and James up to a mountain and there, His glory shines through in some inscrutable way. The Greek word that describes this mystery is “metemorphothe”- the verb form of “metamorphosis.” The wondrous unfolding of a butterfly as she spreads her glorious wings upon emerging from the dark and colourless cocoon. And, as an icing on this picture perfect moment, two Old Testament greats appear beside the Lord. For Peter, this experience, however you imagine it, is a wonderful “upper” coming just after the “downers” of the last day where Jesus had reiterated His prediction concerning His own passion and just before the abysmal pit of sorrow that awaits during Holy Week. It’s a glory moment and Peter, caught up in a spiritual high, says in effect, “Let’s just stay up on this nice mountain. Let us hold onto this wonderful postcard perfect moment.” Peter wanted to make the memory last. He wants to hang on to the moment by building a physical Monument or Museum, so that they can all stay up on the mountain and be happy forever after. Perhaps, by staying secure up on the mountain, Peter could prevent the Lord from carrying out His threat to be killed. Peter had failed once to convince the Lord to abandon His course of action. Now, a wiser Peter has learnt the art of subtlety. No point arguing. Just distract. It’s hardly fair to make Peter a foil. His reaction is so natural. There are at least two things that you and I are wont to do with fond memories. One choice is Peter’s first reaction. Let’s just retreat into memory. Let’s live there. It really is alluring to hunker down with the sweet memory and just settle in it. When the future veritably swarms with uncertainty, how wonderfully secure it is just to hide away in history. The other choice, is to take those fond memories, those glory moments, and find in them nourishment for an even more glorious future. Memory can be an escape, or memory can light the way when the present is unclear and the future is dark. The Lord, therefore, challenges Peter and all of us to take the second option. This is the reason why He refuses Peter’s request to stay on the mountain. A sentence later, they are on the path back down into the real world. Just when Peter suggests that they pitch a tent and stay there forever, Jesus leads him back down the mountain. He invites them—and us—to journey with Him back into life’s valleys. But Peter's memory of that mountaintop was something he would carry with him throughout the week of confusion in Jerusalem. And I would guess that it gave him hope in that valley of the shadows. After the life-changing experience of beholding Christ's divinity, the apostles must come down from the mountain and return to their daily lives. They are surely changed, yet they must continue their “ordinary” work of following the Lord and spreading His Good News. Having worked in parish ministry for the last thirteen years, there were many times when I would rather experience spiritual ecstasy than go about the business of my daily parish duties. Writing bulletin announcements, planning for formations, attending meetings, handling conflicts and dealing with disgruntled parishioners are all a tad less appealing than encountering the Risen Christ at Mass or at a retreat or during a pilgrimage. Like Peter, I am ever so tempted to make all these things go away by holding on to that one sweet memory of being alone with the Lord. But I guess the story of the Transfiguration is a good reminder to me that though the Lord can bring us up to the mountaintop to have a glimpse of God’s glory and a taste of heaven, and to experience His love so tangibly, we can’t stay up there. Life is lived in the low places, in the valleys. God has work for us to do. We should not forget about the mission of the cross that we are to pick up as servants of Christ. To gain our life we must lose it, to follow Christ is to take upon us the cross. To answer His call, to go and make disciples of all nations. Yes, the gospel does not end with the Transfiguration. The ordinary continues, the habitual and the routine continues. Sometimes, life can feel like a chore. But do remember, when your life passes through some pain or loss, remember your Transfiguration moment. After having encountered God, just like the three disciples, our lives are never the same again. The revelation of God’s glory has forever widened the horizons of our lives and that is both wonderful and terrifying. Terrifying because it sometimes feels safer to go through life blinkered, as it gives you an excuse for not doing anything. Something is at risk, we risk facing possible hostility, ridicule, shame and uncomfortableness, but these are all part of the call. And this, is the mysterious nature of our faith. Faith is always drawing us onwards, drawing us further. Just when we thought we knew the answers, we have to set those answers down and move on empty handed. Just when the disciples thought they had reached the mountain of glory, they had to go down and start all over again - they did not ever grasp that they would have to lose all, to gain all. This is the God who calls us to let go again and again, as we move forward in trust. Our faith, our experiences of God has to be lived out, not only on the tops of mountains, but in the cold reality of the valley among people who are sceptics, people who are hostile and the spiritually ‘unwashed’. Ultimately, the transfiguration is not just about reaching the tops of mountains. You see, it’s about the transfiguration of all of our lives and that includes the concealed rubbish too. Not only will Christ be revealed in glory on the mountain but He will also be revealed in glory in the loneliness, forsakenness and agony on a cross. And, He will transfigure that cross too - from a sign of death into a sign of life and hope. Yes, He will be present at the top of mountains and also in the darkest valleys. And, wherever we are, we must “listen to him”. For an encounter with the living Christ is no less profound as we go down the mountain and go about our day-to-day work.